Pipes with flanges can be assembled and disassembled easily. 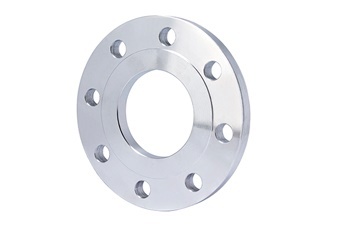 Flanges can be forged or plate. There are many different standards of flanges to be found worldwide. Common world standards include ASA/ANSI/ASME (USA), PN/DIN (European), BS10 (British/Australian), and JIS/KS (Japanese/Korean). Pipe flanges that are made to standards are typically made from forged materials and have machined surfaces. Flange designs are available as “weld neck”, "slip-on", "lap joint", "socket weld", "threaded", and also "blind". Blind or blank flanges have no center hole but have the appropriate bolt holes, and are used to close off the ends of a pipe or vessel. Our most popular lines we stock are PN16 , PN10, Table D/E/F, and ASA150. 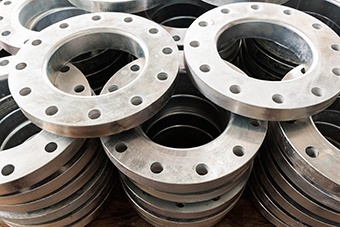 At Arran Pipeline Supplies, we have a long history of manufacturing flanges to your specialised specifications. For a quotation please contact our sales team at sales@arranps.co.uk or call us on 01925 623800.